The Zone Diet is based on the idea that you should eat carbohydrates, proteins and fats in specific ratios at every meal. It can be tricky to work out the amounts, so food blocks are suggested that comprise the set amount of each food group you should be consuming in any given meal. The Zone Diet was developed by Dr. Barry Sears in the 1990s and is based on the idea that excess insulin in your body is what makes you gain weight. To prevent this build up of insulin and keep blood sugar levels at a healthy level for weight maintenance, the Zone Diet advises eating carbohydrates, proteins and fats in a set ratio of 40:30:30, respectively. When following the Zone Diet, you are allowed to have a certain number of food blocks each day, divided between each meal and snack you eat. For example, you may be allocated a total of 12 blocks a day that must be divided over breakfast, lunch and dinner, as well as the two snacks you are allowed. While the number of food blocks you can have depends on your weight, height, and hip and waist measurements, ZoneDiet.com reports most women will require three blocks each of protein, carbohydrate and fat for every meal. Men will need four blocks each of protein, carbohydrate and fat for each meal, and both genders can have two snacks a day, amounting to one block each. Food blocks are divided into proteins, carbohydrates and fats and, within those categories, into best, fair and poor choices. Each item in each food group list is one block so, for example, 1 oz. of skinless chicken breast amounts to one block of best-choice protein, so in one meal, a woman should have 3 oz. of the chicken, while a man should have 4 oz. Each protein block contains 7 g of protein; there are 9 g of carbohydrate in each carbohydrate block and 1.5 g of fat in every fat block. If you are a woman, you might choose a lunch of 3 oz. of skinless chicken or turkey breast, served with 6 cups of kale (2 cups is one block) for carbohydrate and 3 tbsp. (1 tbsp. is one block) of guacamole for fat. These are all selections from the food groups’ best-choice lists. If you are a man, you would multiply the individual block amount by four. You can select your two snacks a day--taken in the afternoon and before bedtime--from any of the food groups, and men and women are both allowed one block. For example, you may choose to have a protein snack of 1 oz. of non-fat cheese; a carbohydrate snack would be 1/2 cup of blueberries; and a fat snack would be six peanuts. While exercise is not specifically included in the Zone Diet, it is an important part of any weight loss program. Having said that, the Zone Diet is a low-calorie, low-carbohydrate diet that may not provide an active person with enough energy, reports EveryDiet.org. It also requires discipline and dedication to work out the often complicated ratios of foods you are allowed in each and every meal. 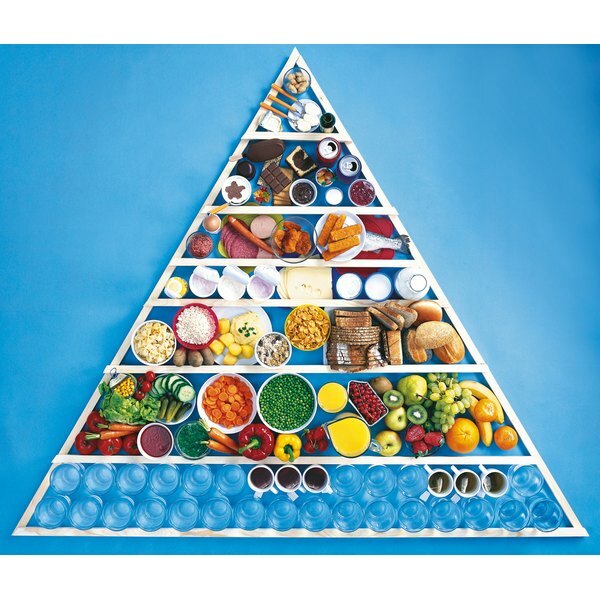 The Zone Diet can also restrict your lifestyle by requiring you to weigh and measure every single food you eat.